Any time you purchase a downloadable diet plan ebook you’re are getting the exact same plan as everyone else who purchased it. In other words it’s a “cookie cutter” approach. Therefore it’s impossible for a downloadable ebook program to be customized. It’s a “one size fits all” approach. Is It Really Possible For You to Lose More Belly Fat IN THE NEXT 4 WEEKS… Than in the Previous 4 Months? Ask yourself, how does this make you feel? This is where your “assembly line” diet was made. Drop your Assembly line diet plan and get on board with your customized, hand crafted eating program designed exactly for you! Are YOU frustrated with eating clean foods and still not getting results? Newsflash: Most foods YOU think that are healthy are really preventing you from burning fat. Are YOU tired of countless trips to the gym and not seeing any changes? Newsflash! No exercise, cardio or weight training program in the world can compensate for a poor diet program. If you can’t burn fat then you’re putting the wrong foods into your mouth. ….It’s as simple as that. The Top 5 Biggest Reasons Your Diet has failed! The biggest reason you’ve failed on your diet is because you’re not following the right program. With out the right map, the right direction or the right guidance you’ll never reach your desired destination. Hard work and discipline mean absolutely nothing unless you’re focused in the right direction.Remember, you’ll never see a sunset running east no matter how hard you run.You must have a customized nutrition program designed specifically based off of your food preferences, body type, somatotype, age, height, weight and body composition in order to achieve YOUR best results. YOU are eating the wrong foods! Most foods you think are “clean” are really preventing you from burning fat! YOU are missing the right foods. The right foods actually can actually rev up your metabolism, improve nutrient partitioning and provide satiety. I tally up all the measurements and amounts for you, all you have to do is cook and eat. The Oscillating Macronutrient Eating Pattern v 5.0 is not a typical diet program, The OMEP is a customized eating pattern designed specifically for each individual based off the personal specs in your evaluation you fill out. You get to list foods you prefer to eat and foods you prefer to avoid. I use this info to create the most comprehensive eating pattern possible to burn off stubborn body fat. I use this info to create the most comprehensive eating pattern possible to ensure your long term success. How does the OMEP Work? The Oscillating Macronutrient Eating Pattern uses the New Science of Fat Loss to torch off body fat with unparalleled results. Listen here as I share the 3 components that allow the OMEP to produce such ground breaking results. Do you suffer from a disease or digestive problem? Kiss YOUR hunger and cravings Goodbye! I take out all the Guess Work, You don’t have to figure anything out, I do it all for you! Since I customize the OMEP exactly for you all you have to do it follow it. You don’t have to think or make adjustments just simply follow the program. When you sign up for the OMEP I also include my highest rated, published training program to follow as well to ensure your success. In fact, be prepared to eat more food then you are currently eating and working out less then ever all while producing YOUR best results ever. The OMEP is for YOU. Getting ready for a photo shoot? Just want to drop a few inches off your waist? Can’t get rid of those flabby stubborn hips and belly fat? Regardless of your goal the Oscillating Macronutrient Eating Pattern is the ONLY way to burn body fat! Everyone from house wives, college students, marathon runners, folks struggling with obesity, fitness models, corporate men & women, figure competitors, soccer moms, school teachers, body builders and attorneys have all experienced their best results ever following The Oscillating Macronutrient Eating Pattern. See Peoples Results from the OMEP! Amazing results in 9 weeks! There have been three defining moments during my fitness journey that I will always remember- and one mentor I will never forget. First was the moment I saw Angela Mraz on the cover of Oxygen magazine. Her striking form inspired me to pursue fitness with passion. Second was the moment I stepped out onto the stage in my first figure competition. I knew right then, it wouldn’t be my last. But it was meeting and working with Jeff the “Wet Wolf,” the man who became my mentor, that truly changed the course of my journey and taught me the real meaning of a healthy lifestyle. Although I was hooked on fitness after my first figure competition, it was hard to sort through all of the advice out there about exercise and diet. Without the right training and nutrition guidance, it was easy for me to slip into an eating disorder and compulsive exercise. My life soon revolved around eating low-fat, low- carb meals. I became obsessive about doing one hour of steady state cardio and weight training, double sessions, seven days a week. I was running myself into the ground, hating life, and feeling physically and mentally exhausted. Finally, I decided to put all my trust and faith in the OMEP. I stopped being stubborn and scared, and gave the OMEP. It was the best decision I’ve made. 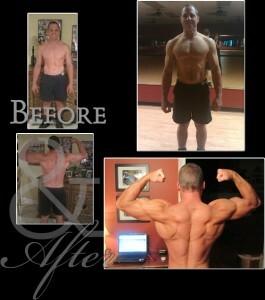 There are no cookie-cutter diets or training protocols with Jeff. He knows his exercise science, but he also understands that everyone is different. Because of this, he tailors physiological principles to meet your individual needs, and helps you create a plan that fits into your life. Jeff also takes the time to pass on his wisdom, to share what he knows and answer each and every question – something that makes him a true mentor. On Jeff’s recommendation, I doubled my caloric intake, eating a balanced variety of healthy carbs, fats and proteins. I now spend half the time in the gym that I used to, and spend my extra time outside, enjoying vacations and fun activities on the weekends. (Who ever thought that less is more when it comes to training and dieting?) I also keep myself strong and refreshed by allowing recovery time from workouts, getting plenty of sleep, and focusing on positive thoughts. Training and eating healthy is no longer a chore, it’s a passion and a lifestyle. I love and appreciate my life now… I ACTUALLY HAVE A LIFE!! Jeff has taught me that eating right and working out doesn’t have to be difficult; you can enjoy a healthy lifestyle. Most importantly, though, he’s taught me that the purpose of good health… is to enjoy life. I’ve started the program on the 27th of February, however I did miss 1 week of workout due to an injure on my lower back caused by a very bad skating fall on the first weekend of may. I did lose the chance to do a better job, but am pleased with the before & after results. Before being on your programs, I did try the bikini body program from figure athlete but I didn’t really took it seriously, so got to the stage I was again. Honestly, so far my shape now is the best shape I have ever achieve in my entire life. In total I did the programs for 9 weeks as one of them I was injured. No words can express how thankful I am to you, for sharing your amazing knowledge with us. I just could’t believe myself . I am sooo happy and proud of what we did together, cause nothing would have happened in the first place without your help and inspiration. Honestly, from the bottom of my heart THANK YOU SO MUCH. To feel the way I feel right now is priceless. I went from size11/13 to size 7/8 in my jeans and lost over 22 lbs of fat while getting stronger, all in under 12 weeks. My original picture, to this picture shows how much I’ve accomplished. I will never go back to where I was in the before picture. The OMEP is no joke and well worth your time and money. 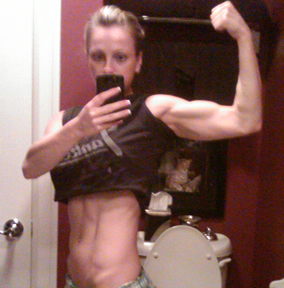 “I have been lifting weights for over 20 years and am a certified personal trainer. I have tried countless meal plans and workout programs that you can find in any muscle magazine and have blown away ridiculous amounts of money on supplements to see very little gain, if any. I have done The Oscillating Macronutrient Eating Pattern and Consolidation Phase Training 100% and have noticeably changed the way I look and increased my strength levels in 60 days, including a 13 pound weight gain in the second 4 week program. I do not claim this is 13 lbs of pure muscle but it is undoubtedly “good” weight and my body remains under 10%. What I was doing before had me in decent shape but I was not making the gains I wanted because I was like 90% of gym guy’s and was over training! Too many sets and exercises per body part, to include training the wrong body parts together. Not to mention not getting the proper nutrition. I would recommend Jeff’s program to any “know it all” gym guy and if given 100% there is no way you will not see huge results for less money than you spend taking countless supplements that do not do what they claim. I would challenge ANY person to follow these programs for 60 days and guarantee you will see FAR more results than ANY program you can find in any “musclehead” magazine. The OMEP v 5.0 applies the principle of volumetrics to promote satiety, integrates thermogenic foods to ramp up metabolic rate and uses strategic macronutrient placement for increaced leptin levels. It is the NEW science of fat loss and muscle building through optimal nutrition.You receive a customized eating pattern for every day of the week. Supplements are listed in the program. You get to list foods that you like and dislike to increase long term success. I provide a Progress Chart as an Excel spread sheet that you return after each full month on the program. This provides me with the necessary information so that I can make necessary adjustments to your eating pattern on a monthly basis which allows for continued progress.